This pattern will show you how to create your own fruit tarts, including all off the fruit combinations shown in the pictures. They are so much fun to make. 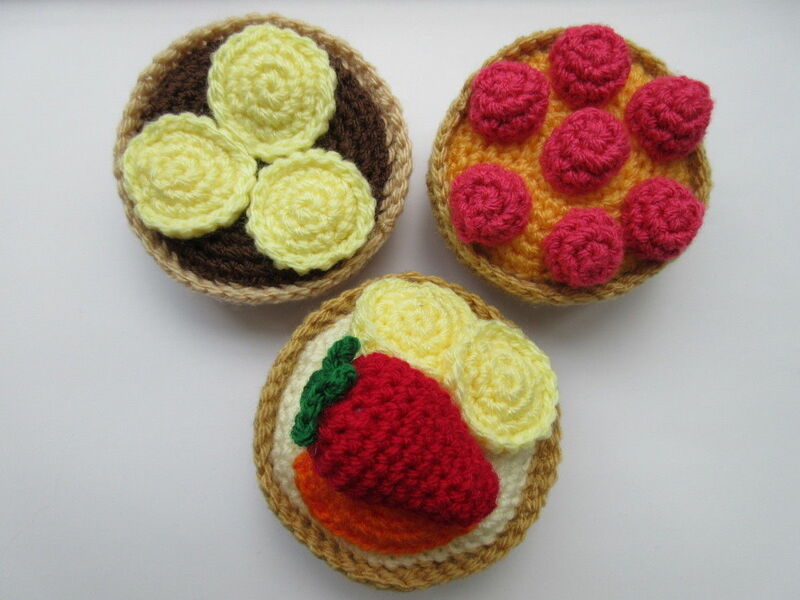 The finished tarts can be used as play food or as decorations. Make a whole range of different flavours! The pattern is written in English with US crochet terms. You will need to have basic crochet and sewing skills.